Ein Gletscher der Bungalow am Messer am Ufer Park. Familie und tierfreundlich. Nagelneu und voll möbliert 1 Schlafzimmer mit Queensize-Bett und ein ausziehbares Bett, 1 Bad Bungalow, für bis zu vier Personen, ist das ganze Jahr über eine zentrale Klimaanlage und Heizung. Vor Ort im Besitz und betrieben. Wir bieten Ihnen einen ruhigen eingezäunten Garten mit einer Terrasse und Grillmöglichkeit. Wir sind nah an lokalen Lebensmittelgeschäften, einem hochwertigen Fleischgeschäft und Restaurants. Das Hotel liegt nur wenige Schritte vom schönen Park Edge-River und neuesten Radweg in Columbia Falls. Gehen Sie zu dem Flathead River und erleben Sie Natur hautnah Montanas. Wir sind zentral in der Flathead Valley gelegen, bietet einfachen Zugang zum Skifahren, Wandern, Radfahren und Angeln, sowie gute Einkaufsmöglichkeiten und Restaurants. 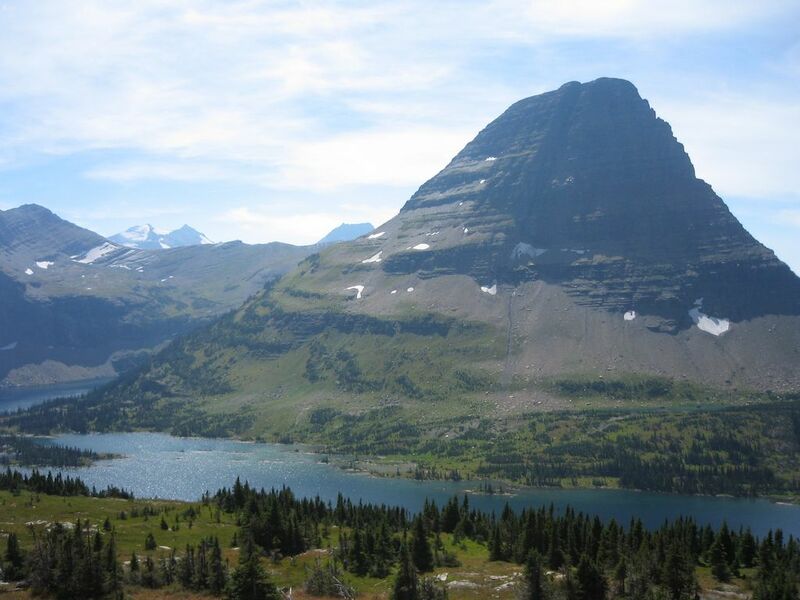 Weniger als 15 Minuten zu Glacier International Flughafen und dem Amtrak-Zug-Depot und nur 20 Minuten zu Glacier National Park und Whitefish Mountain Resort auf Big Mountain. 1 voller Größe Badewanne und Dusche. We really enjoyed our stay in this charming little home in Columbia Falls. The rental was well appointed, convenient and comfortable. It served as our base camp during our 7-days exploring this area. The town had everything from several very good restaurants (Three Forks, Backroom at the Night Owl and Backslope, to name a few), to two extensive grocery stores (one 24-hrs). All the folks we encountered were kind, helpful and friendly. We truly enjoyed our time in Glaciers Bungalow. The nonsense about any cat issue, in a previous review, was just that... nonsense. We stayed here while we were exploring Glacier National Park nearby. The location of the house is great, close to the park in a quiet neighborhood. With it being in Columbia Falls it's also close to Whitefish and Kalispell too. The house is in excellent shape, was very well equipped with everything we needed. It even has central air conditioning, which was great as some of the days we were there got pretty hot. If I ever get back to the area I would definitely stay there again. My husband, myself and dogs came to see the Glacier area. The property is fenced and perfect for dogs. The interior of the house is in tip top condition and really nice. We however had a disaster of a vacation and only stayed one night (no fault of the house). My husband injured himself, we had a false alert on his mothers health, and the wild fires made the area very smokey and the Going-to-the-Sun Road was closed because of fires. This cabin is cute. Close to a park by the river and has everything you need. However, the area is polluted with cats and creates an odor, even in the cabin. Kristi was concerned and tried to accommodate us by spraying down the house but the cats returned. The cleaning fee does not cover much. There is an assumption that one has to take bedding off, wash towels and clear dishwasher with a condo or vrbo rental. However, this rental requires that you mop, vacuum and clean all floors; clean the tub (very deep, had to get on hands and knees to clean) , toilet and sink, and all kitchen appliances. The cleaning fee should include all of that. Near-perfect for Glacier and the Flathead valley. The bungalow was perfect for what we needed - a place close to West Glacier, with easy access to Whitefish and Kalispell. The home was cozy and well furnished. The neighborhood it's located in kept it from getting a 5th star, but we'd stay here again. Glacier National Park, Big Sky Wasserrutschen, Hungry Horse Dam und Reservoir, Wildwasser-Rafting und Angeln auf Flathead River, Whitefish Mountain Resort auf Big Mountain, Haus der Rätsel, Glacier Maze & Fun Center, Flathead Lake, Whitefish Lake, Hunderte von Meilen auf National Forest Trails für Wanderungen und Mountainbiketouren, Einkaufsmöglichkeiten in der Nähe in Kalispell, Whitefish und Columbia Falls. Non-refundable cleaning fee of $75.00 or $100.00 with pets. Monthly rates available October through April. Additional fees may apply with short term rental.